The LD320 Series displacement sensors have a stainless steel body with improved IP67-rated sealing, coupled with new polymer guides with rigid carriers. 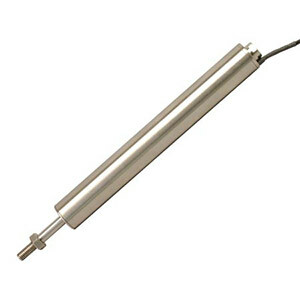 These transducers are accurate and reliable, especially in wet and corrosive conditions. An unusually large bore-to-core clearance is maintained throughout the range, even on transducers fitted with on-board signal conditioning. This makes installation easier and helps prevent misalignment.